(1) Preheat oven to 325 degrees. (2) Mix together the butter and sugar with a beater until they are just combined. Add the vanilla. In a medium bowl, sift together the flour and salt, then add them to the butter/sugar mixture. Mix on low until the dough starts to come together. Put the dough onto a surface dusted with flour and shape into a flat disk. Wrap in plastic wrap and chill for 30 minutes. 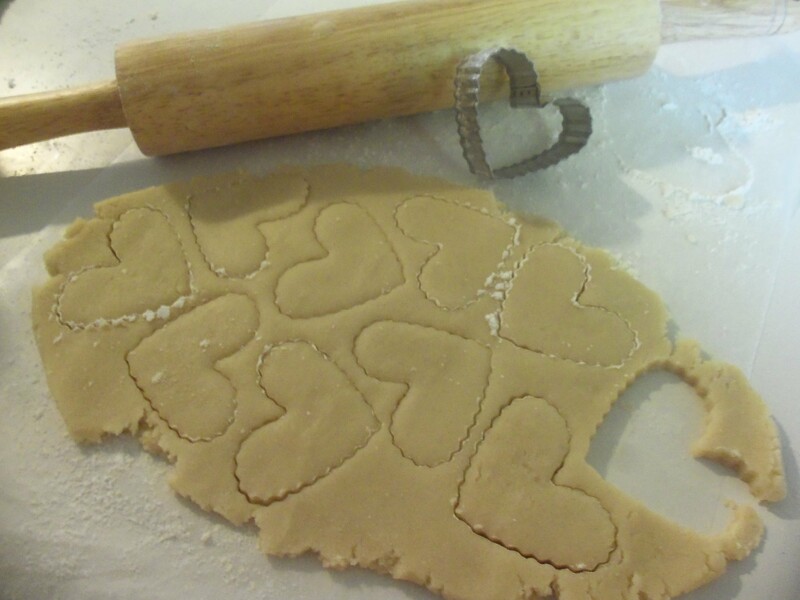 (3) Roll the dough ½ inch thick and cut the dough into either 3×1 inch rectangles or whatever shape your heart and cookie cutters desire. Place the cookies on an ungreased baking sheet (trust me, that butter will seep out onto the pan on its own) and sprinkle with sugar. (4) If doing the 3×1 rectangles bake for 12-15 minutes, until the edges are golden brown. 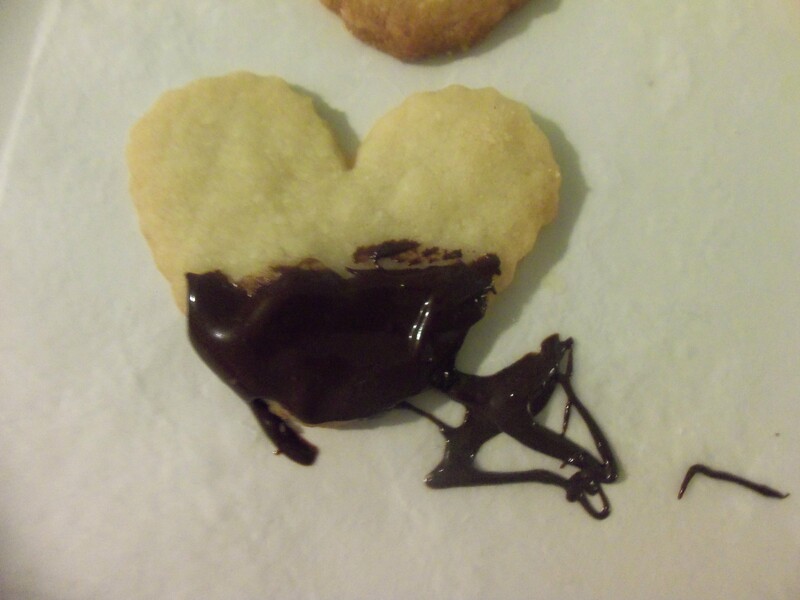 If doing a small cookie cutter, like the hearts I did, then bake for 8-12 minutes. 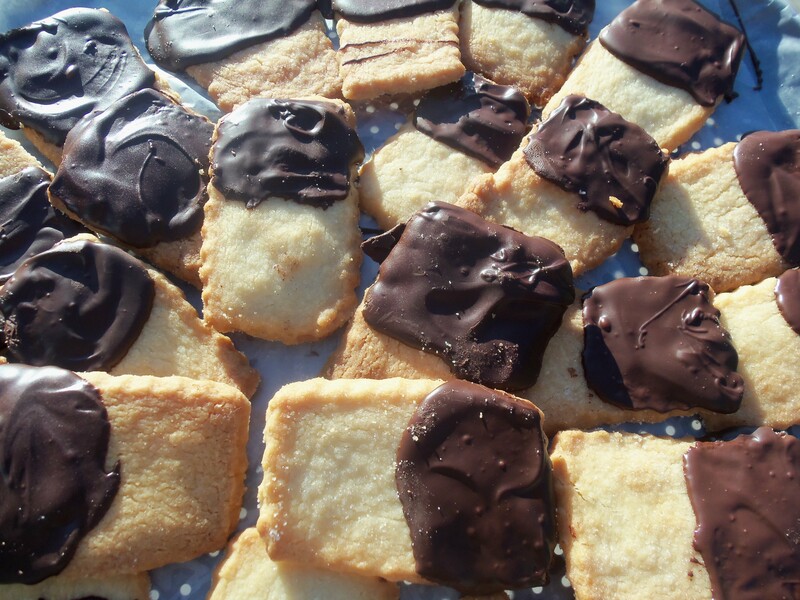 However, I would check on them often, because shortbread cookies can go from just about done to burnt really fast. 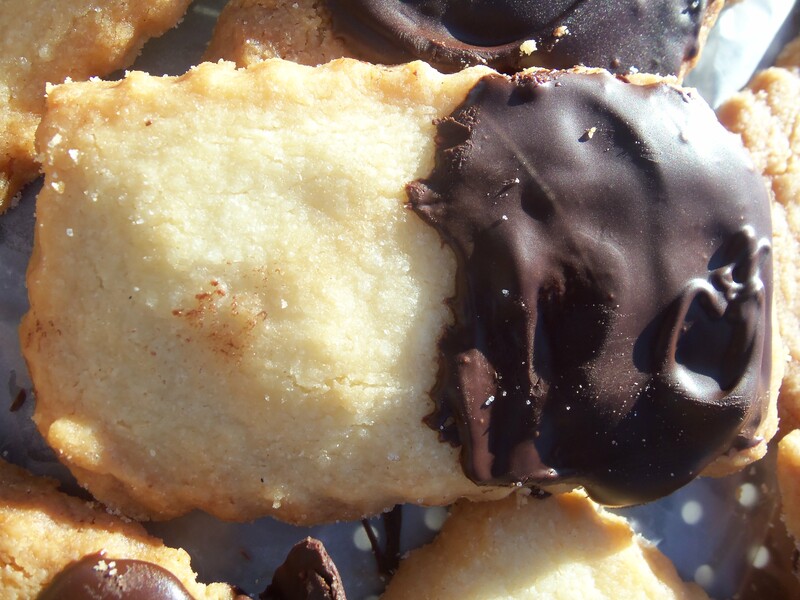 (5) When the cookies cool place them on parchment paper. Put 3 ounces of chocolate in a bowl and microwave for 30 seconds. Stir with a wooden spoon and place in the microwave for another 30 seconds. Continue until chocolate is melted (not burnt!!). 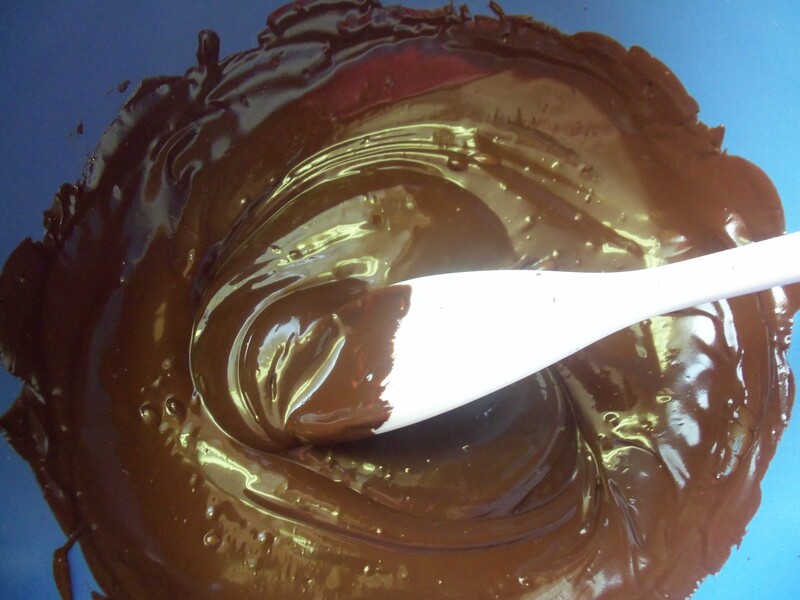 Add the remaining chocolate to the bowl and stir vigorously until chocolate is smooth. The more you stir the glossier it will become! (6) You can now either dip the cookies in the chocolate, or get a spoon and drizzle chocolate over the cookies so that about half the cookie is covered with chocolate. Place in the refrigerator for 30 minutes to let chocolate harden. I loved, loved these cookies. They were delicious and even tasted good without the choc. Both ways they were a hit with me.